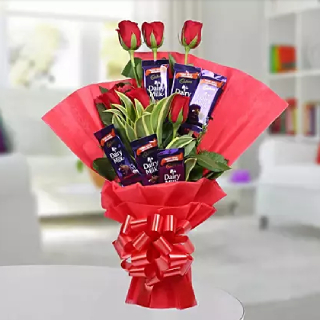 Shop for Chocolate Rose Bouquet worth Rs.619 at Rs.549 at FernsnPetals. No promo code required to avail the offer. You all know that red is the quintessential color of love but here we have wrapped some enticing red roses and mouth-watering chocolates in a red paper so that your day of love becomes a memorable one. Offer is valid for the limited period so gift now.